Washington DC manufactures law. This is the seat of the United States federal government and the sidewalks are crowded with attorneys going here and there. It would seem that all a person would have to do is raise a hand in order to get the attention of one of these barristers. It is all well and good but are these attorneys affordable? Some of them cost hundreds of dollars per hour and a well out of the range of an ordinary individual. Companies that care about the welfare of their employees should think of a group legal plan benefit. It can provide reasonably priced service to people who need it. Residents of Washington DC know the importance of following procedures. Getting any help from a public agency can be maddening without the right paperwork. Countrywide Pre-Paid Legal Services has the Personal Legal Protector Plan and other options that are reasonably priced. Matters such as immigration, drafting a will, or help with domestic issues, are the type of services that Countrywide provides. Contracts can be a strange piece for a lot of people. Countrywide attorneys are able to interpret up to six pages of legal documents for plan member. What was once current in gray mist becomes clear as Countrywide attorneys explained the contract language. The District of Columbia is a treasure trove of data, and hackers and were trying to get into the files. Wash and residents know this and are very concerned about their underline information. Online information. Countrywide offers ID theft protection so that a person’s credit rating is kept secure. A Countrywide group legal plan member has access to the very best support possible. The attorneys will also help with correspondence and telephone calls on a given subject, and assist with other situations consumer protection or help with drafting medical powers of attorney. We provide telephone calls as necessary to the Countrywide attorney. Is also easy to arrange for a face-to-face consultation. The Countrywide legal profession is close by and in the community. It helps create the kind of trust relationship that makes a group legal plan so special. Countrywide has designed group legal plans for nonprofit organizations, and other entities since 1987, and we appreciate that different groups need unique benefits. We are not advocates of boilerplate or standardized benefits. Instead, we will ask a client to tell us what legal benefits be a part of their group legal plan. That allows us to design a benefit that best addresses the needs of the workforce. This is in addition to the type of administration, it gets things done. No one has to wait in a bureaucracy of paperwork to get needed help. Employers and private insurance exchanges have an opportunity to provide legal service options that employees and clients alike can use with our services. All of the benefits come with the very best customer service possible. That is something that every plan member and client organization can expect from Countrywide. 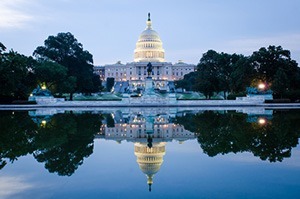 Our legal plan assures your employees complete confidentiality and is usable in Washington DC and throughout the country. Although business related matters are not are not eligible for services under our group legal plan, our network of experienced attorneys can assist with an endless number of other matters.